In the years between the Russian Revolution and the rise of Stalin, filmmakers in the Soviet Union invented a new language of film: one that still inspires filmmakers today. Geniuses like Dziga Vertov and Sergei Eisenstein found out how to combine and contrast images to get ideas across, and how the rhythm and pace of editing, and the use of music, could stir emotions. Most modern films follow the ‘continuity system’ (see Putting it together) so that viewers get caught up in the story and don’t notice the filmmaking. Soviet montage is completely different and offers lots of ways of giving your films impact and making the viewer think about your ideas. After the 1917 revolution, fresh film stock was in short supply, so filmmakers learnt by experimenting with found footage (shots from old films), looking at what happened if they put them together in different ways. They found that people would respond to a shot differently depending on what images came before and after it. In the “Kuleshov experiment” by pioneer film theorist Lev Kuleshov, audiences saw a close-up of an actor followed by a shot of a ￼￼bowl of soup, a coffin, or an attractive woman. They thought the actor was great at looking hungry, sad or lustful – but actually each of his close-ups used exactly the same footage. The Russian Revolution meant that there was a huge demand for propaganda. 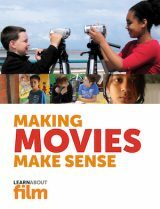 Revolutionaries like Lenin thought film was the ideal way to get revolutionary ideas across to people who couldn’t read. Filmmakers like Sergei Eisenstein and Dziga Vertov thought the continuity system was ‘bourgeois’ because it faked reality. They believed in Marxist ‘dialectic’ which was about the conflict between ideas. Eisenstein wanted to use cinema to stir emotions and inspire the audience to get behind the revolution. Eisenstein was the big theorist of montage, writing books like ‘Film Form’, where he looked at how things such as changing the duration of a shot (how long it stayed on screen), using movement in the shot, and its emotional content, would affect audiences. For getting ideas across (‘intellectual montage’) he put images together and contrasted them. In Strike (warning: gruesome footage), shots of a cow being slaughtered are cut together with shots of workers being killed by troops. In October Christian symbols are mixed in with religious objects from other cultures to suggest that all religions are the same. The most famous montage sequence of all is the Odessa Steps scene from Battleship Potemkin, where protesting citizens are mowed down by Tsarist troops. This sequence uses a whole range of montage techniques: punchy, graphic images; dramatic cuts from wide shots to extreme close-ups; and a sense of movement that’s conveyed by the editing, how the camera moves, and dramatic horizontal and diagonal compositions. It also uses ‘stretch time’: the headlong rush down the steps would probably only take a minute in reality, but on film it takes over seven minutes. Another idea of Eisenstein’s is ‘vertical montage’ . 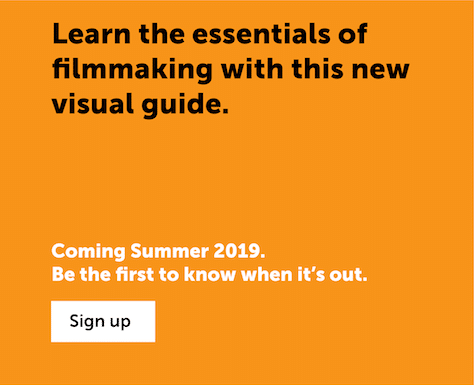 Instead of just looking at how individual shots go together, this is about how elements of the images (like how the shot is composed, and how an actor moves) work together with the soundtrack. So, in a title sequence, the diegetic (‘natural’) sound, the music, and different layers of text and images make up a ‘vertical’ montage. 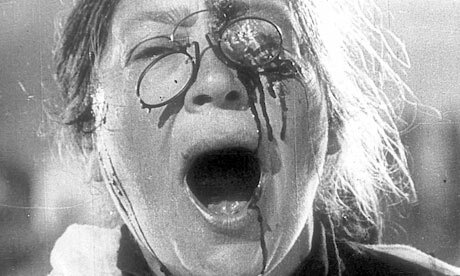 Eisenstein’s films are studied by almost every film student, but they’re not a lot of fun. 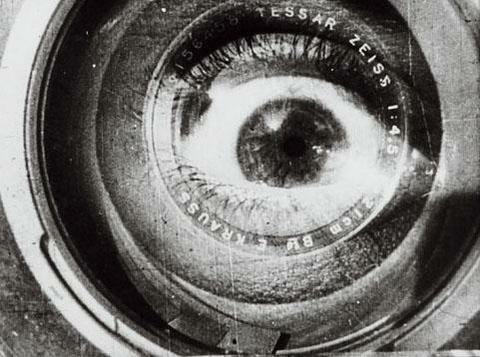 Another Soviet filmmaker, Dziga Vertov, is much more enjoyable. Vertov used montage to make the filmmaking obvious, instead of trying to hide it like films made with the continuity system. 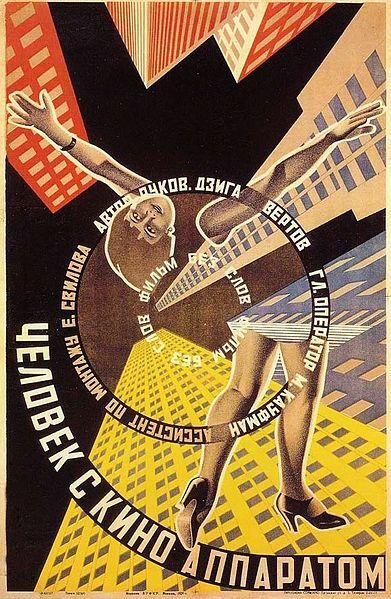 His 1929 Man with a Movie Camera is a ‘city symphony’. Several of these films were made in the 1920s. This one covers lots of different kinds of events during a ‘day in the life’ of the city: football, dance, swimming, factory workers, a funeral, a birth, firemen answering a call and an accident. Watch the morning scene, at the beginning, to see Vertov uses parts of objects, close-ups, low and high angle shots, and patterns and shapes, to build up a sense of time and place. The end of the film is really powerful, with a rapid pileup of shots*, images overlaid over each other, split screen, and animation. At the end an animated camera nods and takes a bow. The film is also about how films are made, so we see the cameraman, the audience, and Vertov’s wife Elizaveta Svilova editing the film. *This would be dangerous to watch for anyone who has photosensitive epilepsy. The 1980s film Koyaanisqatsi (Life out of Balance) by Geoffrey Reggio used a lot of Vertov’s ideas, half a century later, but for completely different reasons. Vertov wanted to celebrate the crowd and the modern city, but Reggio made an environmentalist diatribe. He used time-lapse and slow motion to show modern life as a nightmare. He used ‘intellectual montage’: in one scene he compares commuters on an escalator with sausages being squeezed out of a machine. It’s often beautiful, with a rich ‘minimalist’ score by Philip Glass, and it’s influenced loads of more recent films that you’ll find online. You even see montage in Sergio Leone‘s spaghetti Westerns. There’s a great three-man showdown in The Good, The Bad and the Ugly that uses loads of Soviet montage ideas: dramatic cuts from wide shots to close-up and extreme close-up, cuts between close-ups, and accelerating editing, all co-ordinated with Ennio Morricone’s spectacular score that builds up in intensity. There’s a simpler example of ‘rhythmic montage’ in the title sequence for Alex Cox’s punk sci-fi film Repo Man, where shots of sections from a map are edited precisely to a driving Iggy Pop soundtrack, with the cuts coming sometimes every bar and sometimes every beat. 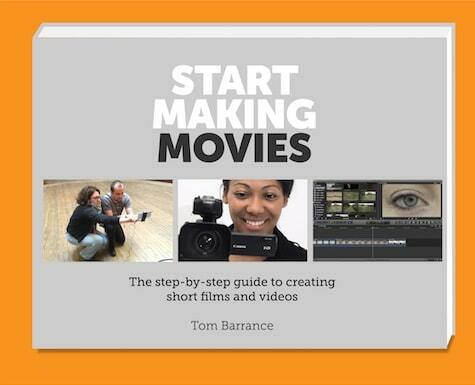 (Editing to music is a great way to make punchy, powerful montages.) Try using Soviet montage ideas in your next film project.